For decades, city centers and intercity roads have suffered from heavy traffic congestion and air pollution from car emissions. To diminish these effects, governments have tried to get people out of their cars and onto public transport such as trains, trams, buses and metros, as well was using non-polluting bicycles. Unfortunately, this has mostly proven to be unsuccessful. At least partly to blame here are poor connections between different modes of transport, longer traveling times and delays, as well as a lack of comfort and privacy. 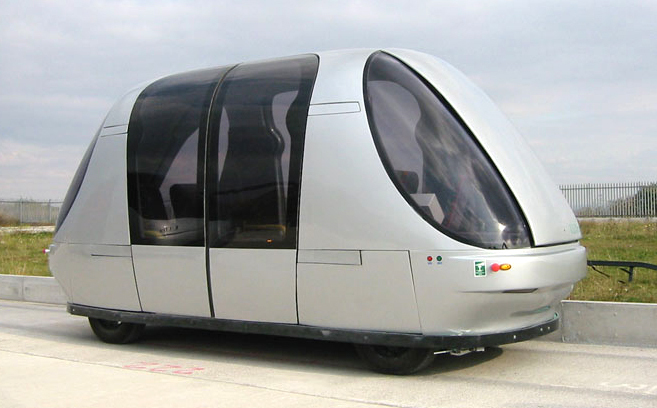 Designers and engineers are now exploring new public transport concepts, which are more capable of competing with the car by offering quicker, and in some cases individualized, transportation, as well as introducing a new range of personal city vehicles. An alternative to steam power, incorporating the same benefits, was proposed by the German engineer Franz Kruckenberg in 1929. 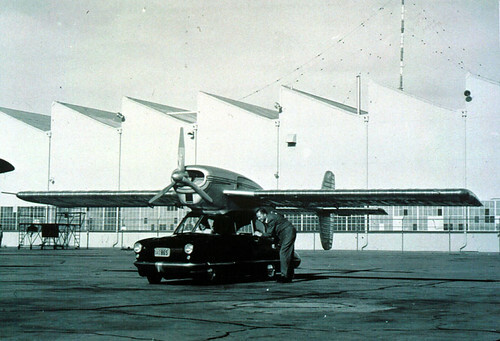 He fitted a BMW aircraft petrol engine with a four-bladed propeller to the back of a specially designed train carriage. 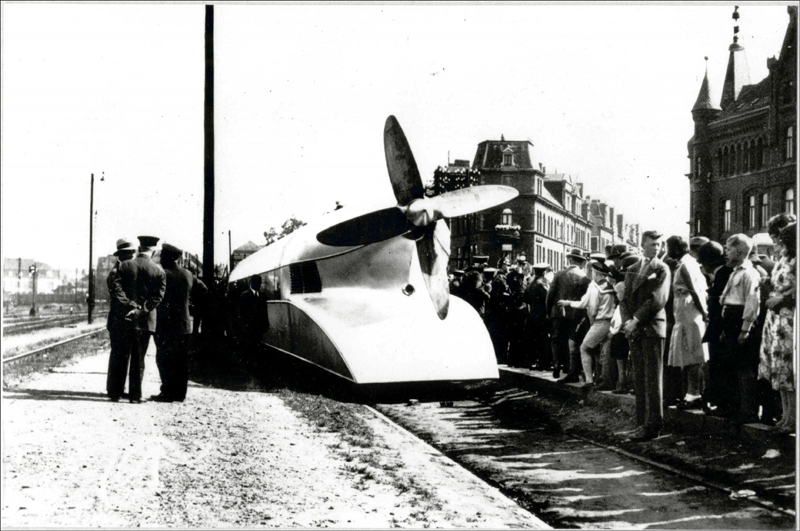 Dubbed the Schienenzeppelin, in 1931 this aerodynamically designed prototype vehicle set a world rail speed record of 230 kilometres per hour (143 mph) on a stretch of rails on route between Berlin and Hamburg. Although the record remained unbeaten until 1954, Kruckenberg’s propeller-driven train was never employed in scheduled service. Instead, the Deutsche Reichsbahn in the 1930s opted for a new line of Diesel-electric locomotives. These were driven by electric motors, but the electricity was generated aboard the train by a diesel engine coupled to a generator. Dubbed the Fliegende Hamburger, these diesel-electric locomotives could achieve speeds close to that of the Schienenzeppelin. Apart from aerodynamic drag, trains usually suffer from mechanical resistance in their drive system as well as rolling resistance from the wheels on the track. 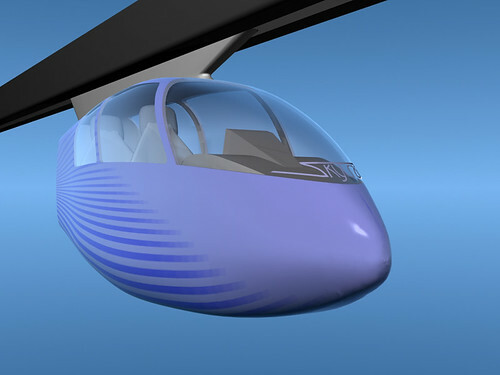 Researchers at the Kohama Laboratory, Institute of Fluid Science at the Tohoku University in Japan (link) tried to lower overall resistance by adapting another aspect of aerodynamics on its Aero-Train concept. 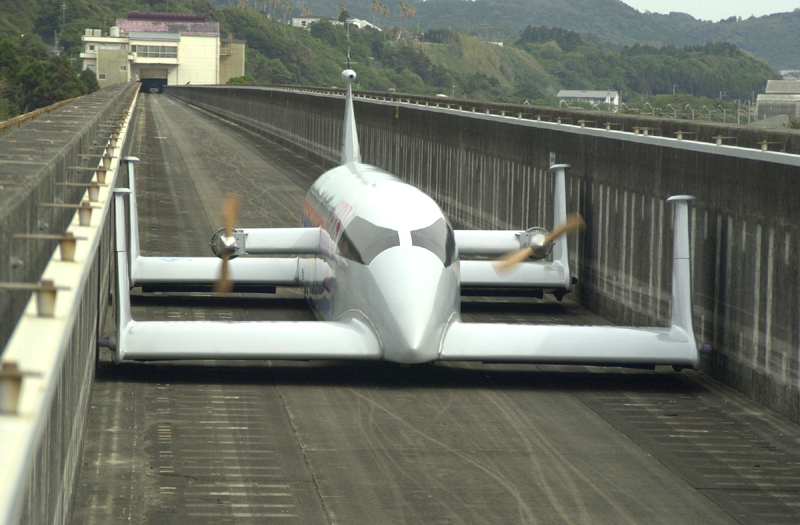 Using the aerodynamic wing-in-ground (WIG) effect, the Aero-Train is able to fly above the track at a height of 10 centimetres (4 in). The WIG effect occurs when flying very close to the surface. Cruising at its maximum speed of 500 kilometres per hour (310 mph), the aerodynamic lifting force becomes extremely large with a much smaller drag force. Solar panels are placed on the guide-way's roof, while wind generators are placed alongside in those places where wind energy is generally available. 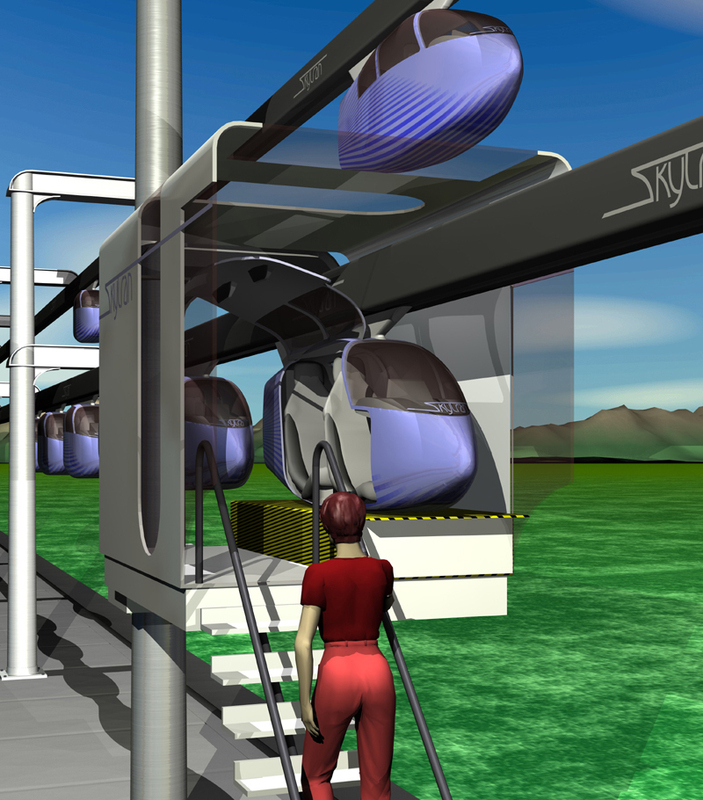 The generated electricity can be fed to the train directly or stored in its on-board batteries. 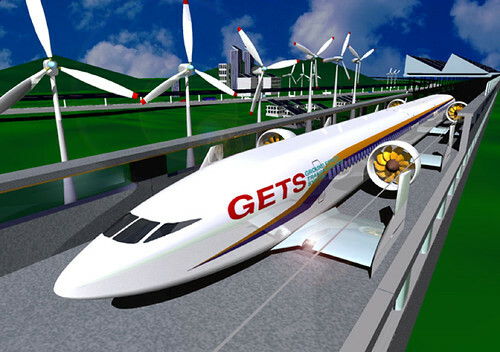 The researchers expect the system to generate much more energy than is consumed by the Aero-Train, thereby making it double as an electric power plant. 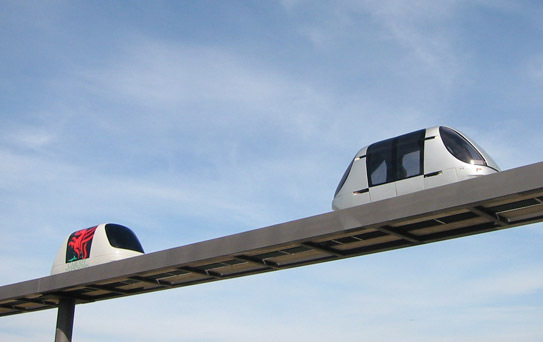 This SkyTran system operates with individual, two-passenger vehicles, which are propelled and suspended by a maglev system from overhead guideways. These are laid out in a one mile by one mile networked grid throughout the city. A large number of small departure and exit portals are placed underneath the guideways at approximately every 400 metres or at every city block. SkyTran has no fixed routes or timetables. Users can simply enter any departure portal, get into the first empty vehicle in the queue and select their destination. 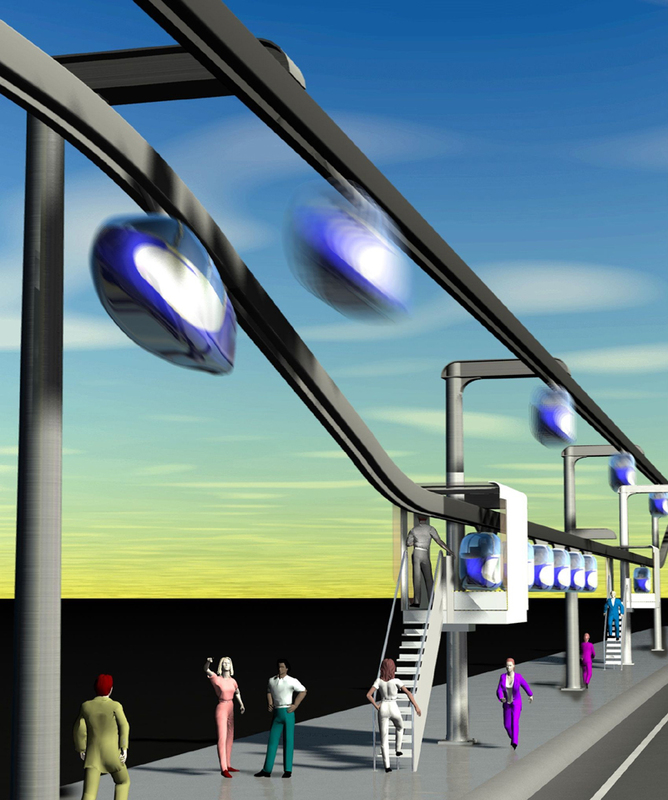 The vehicle then speeds up on the acceleration lane and enters the high-speed overhead guideway. At the selected exit portal, the vehicle enters a deceleration lane where the speed is reduced until it stops at the arrival portal. Individual vehicles are capable of speeds up to 160 kilometres per hour within city limits or 240 kilometres per hour between cities. A very short braking distance allows a distance between traveling vehicles of a mere 25 metres. 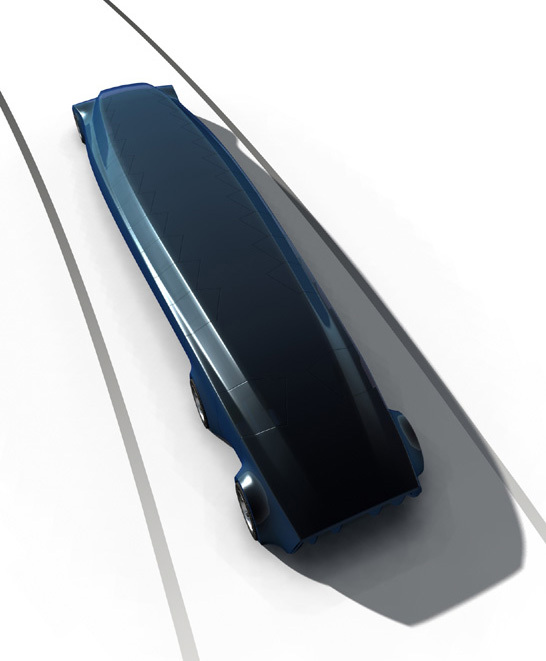 Another system, called ULTra (Urban Light Transport) and developed by the British company Advanced Transport Systems (ATS), also offers on-demand personal transport with virtually no waiting time to take individual passengers non-stop to their chosen destination. 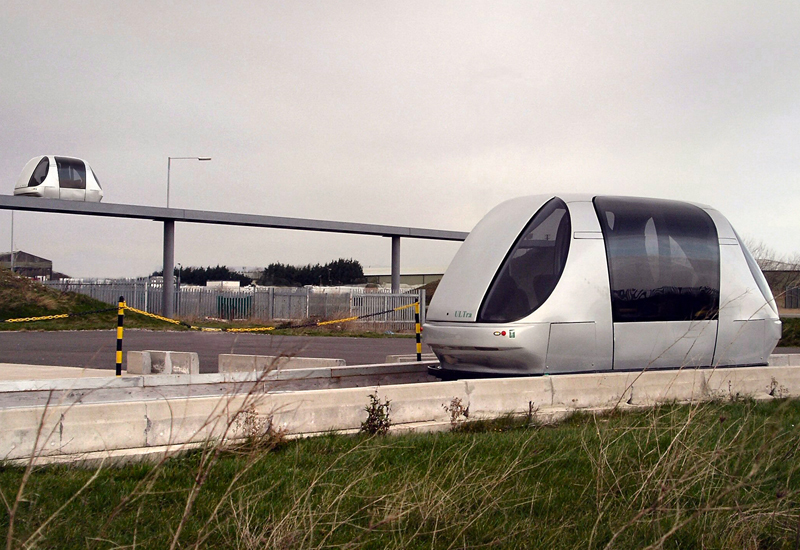 The system operates with a fleet of driverless electric vehicles, running on a network of elevated or ground level guided routes. operable in the fall of 2008. A certain Dutch company has recently signed an agreement to introduce ULTra in the Netherlands and Belgium. 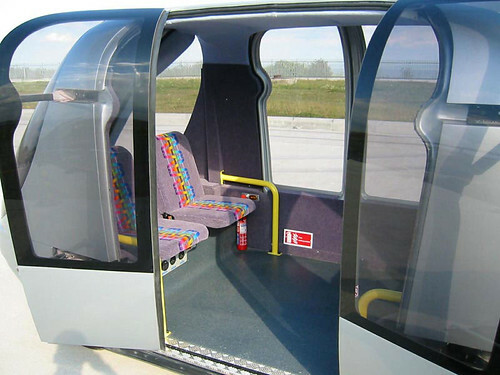 The low-floor vehicles have a seating capacity of four, with some additional standing room or space for a wheelchair. Although maximum speed is limited to 40 kilometres per hour, the non-stop service can make trip times two or three times faster than other urban transport. 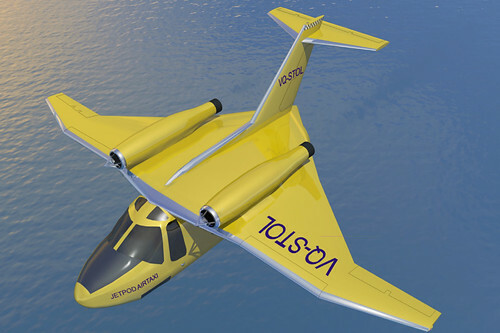 Developed by the British company Avcen, the Jetpod is a small twin-jet aircraft with newly developed VQSTOL (Very Quiet Short Take-off and Landing) technology - and it's aimed to make short-distance air travel possible in built-up urban areas by the year 2010. According to Avcen studies, there is a considerable demand for the Jetpod. 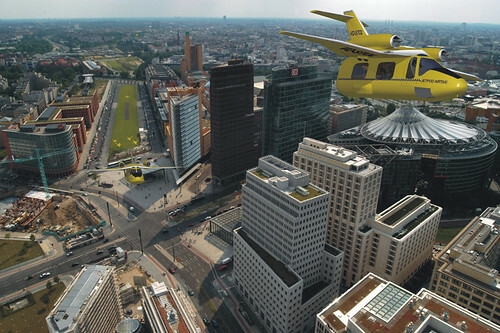 Avcen's solution to urban traffic congestion is to provide air taxis which shuttle service between an outer city ring of park-and-fly sites and a number of STOL (Short Take-Off and Landing) strips within the city centre. 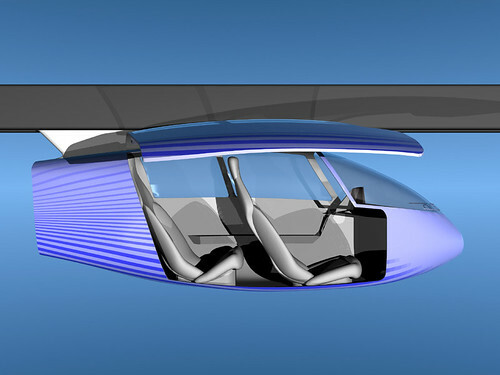 One of the proposed versions of the civil Jetpod T-100 is the City Air Taxi. Other versions include the P-200 Personal Jet, the M-300 Military and the E-400 Ambulance. 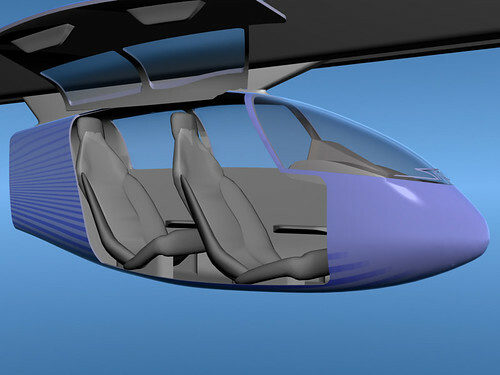 The T-100 City Air Taxi could be operated as a free-roaming air taxi - with more than fifty landings a day, using a rotation of pilots. 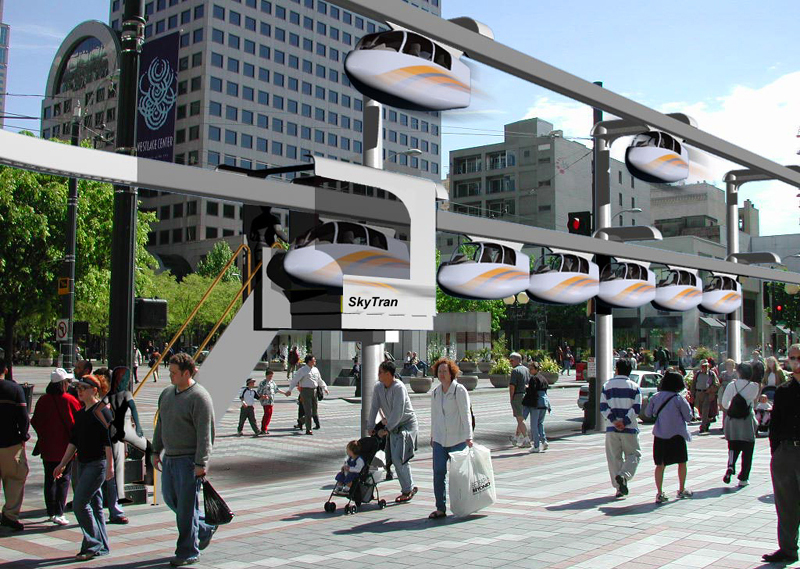 75 Jetpods would service a city the size of London and thereby relieve road traffic of 37,000 return car journeys every day. 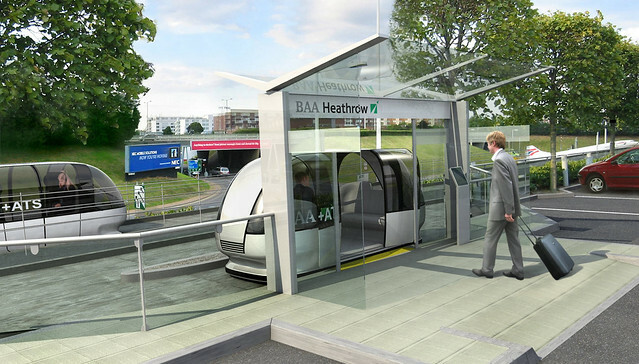 A one-way flight from outer London to the city centre would take just 4 to 6 minutes. 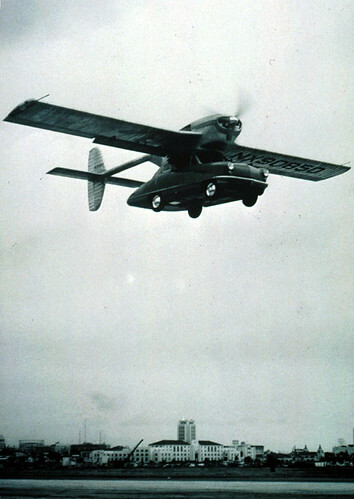 The Jetpod doesn’t even require a conventional runway. It can land on grass, dirt or stone-strewn areas. 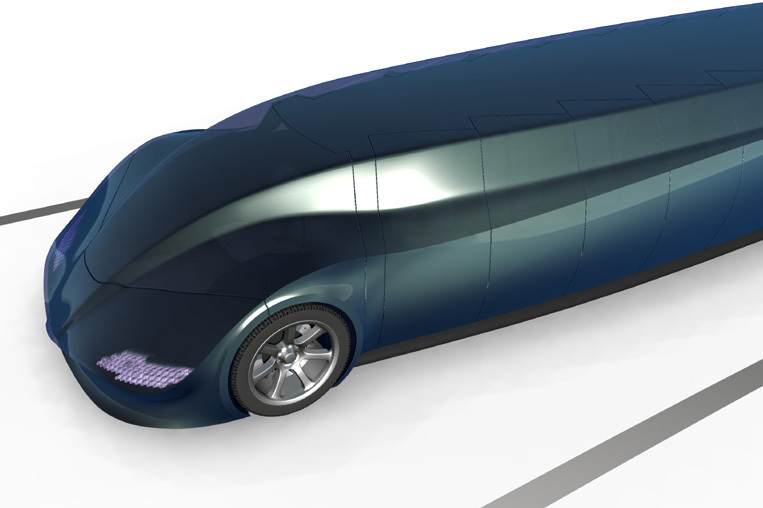 Avcen designed the Jetpod using the latest jet engine technologies for optimal fuel efficiency and lower emissions noise levels, when compared to car transportation. 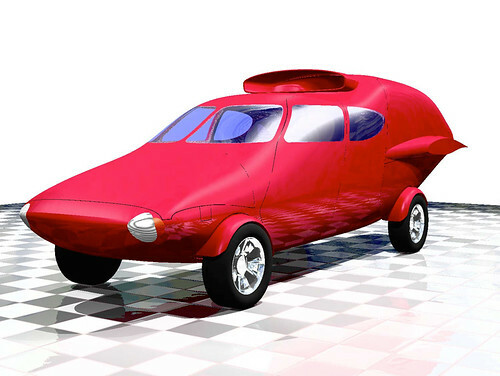 The highly streamlined four-seating vehicle automatically transforms from a car into an aircraft and back again. 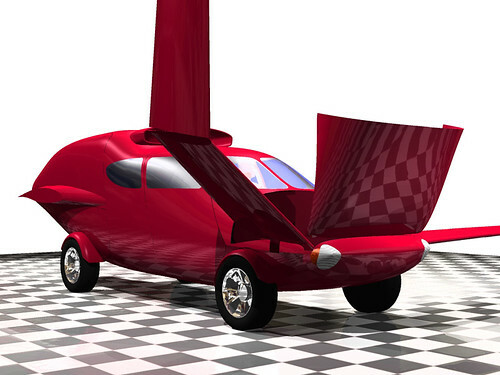 With the Skyblazer, the American company Haynes-Aero aims to combine the speed of a jet airplane with the door-to-door convenience of a car. 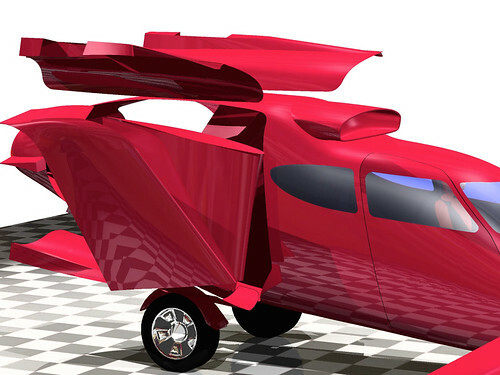 The self-contained Skyblazer is equipped with a folding arrangement to store the wings completely inside the vehicle body. 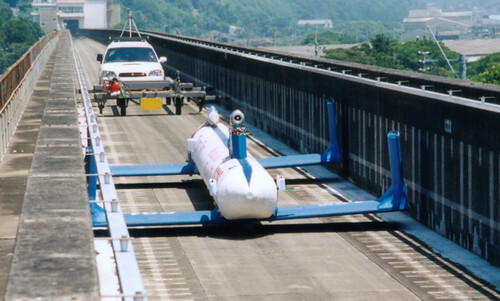 According to Haynes-Aero, road performance will be adequate enough to operate within normal traffic. 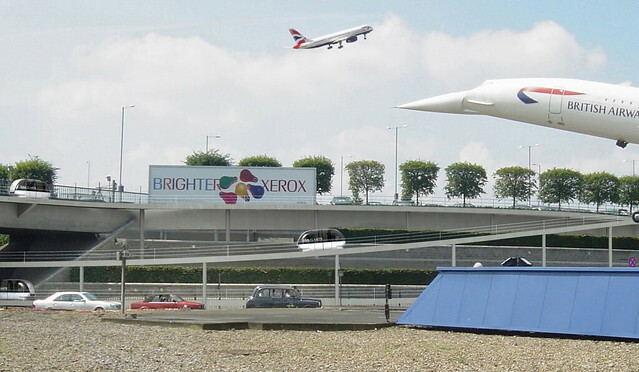 With a take-off run of just 405 metres (1,330 ft), the Skyblazer is able to take off from all small airports. After take-off the four wheels collapse into the body shell. The cabin is pressurized and offers similar accommodation as a road car. 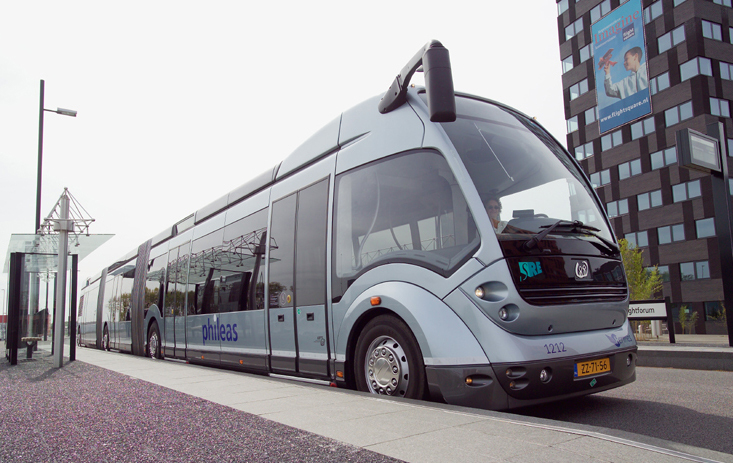 The Phileas BRT (Bus Rapid Transport) vehicle, developed by the Dutch company Advanced Public Transport Systems (APTS) can drive itself automatically on a dedicated track as well as being manually driven on normal roads. The Phileas system is already in use since 2004. A hybrid-electric drive makes the vehicle up to 30 per cent more fuel efficient than other buses of comparable size. 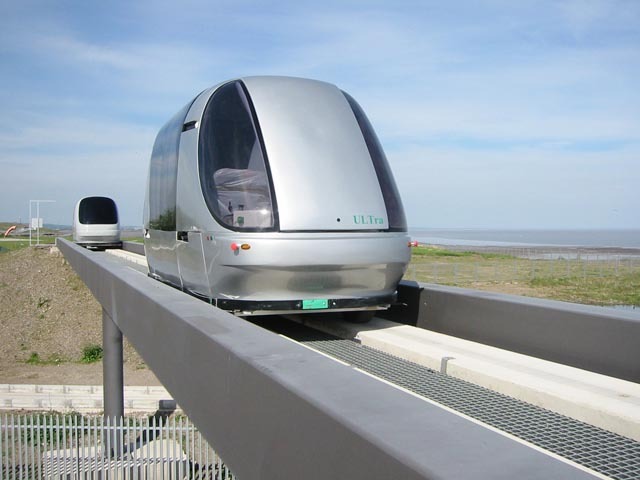 The Delft University of Technology in the Netherlands is developing another bus, which is able to operate on designated tracks. 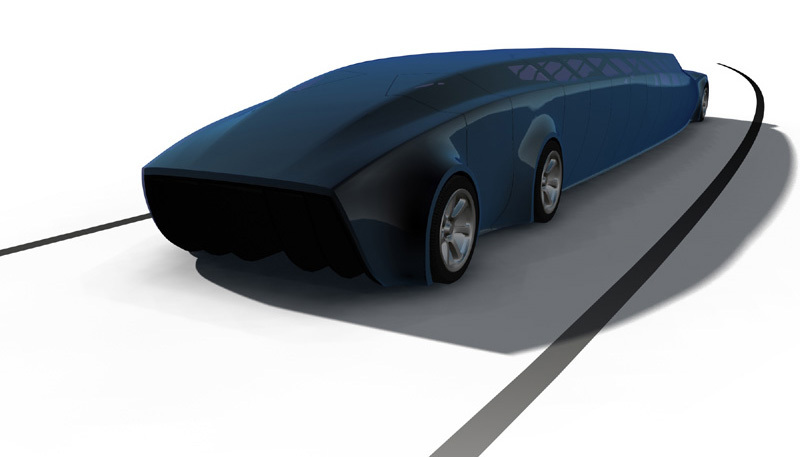 Superbus is able to operate at very high speeds of up to 250 kilometres per hour (155 mph) and could therefore be an alternative to high-speed railway lines. The vehicle has three axles with 6 electrically driven wheels. Whether this is achieved by utilizing an on-board battery pack or fuel cells has not yet been decided. For increased passenger comfort, the suspension system can actively respond to known humps and bumps in the road. This knowledge about the road surface along the route is stored in a central computer. A radar system in the front can detect obstacles up to a few hundred metres down the road and accordingly brake or steer the vehicle to avoid a collision. The road surface of the designated concrete tracks can be heated during winter, in order to melt ice and snow, using solar heat stored in the summer. 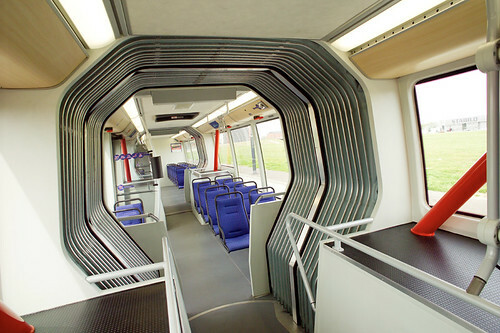 Instead of using designated stops, the Superbus can be ordered anywhere along the route. This system will most likely work by mobile phone or internet.The project is partly funded by the Dutch government. The aim of the project team is to have a fully functioning demonstration vehicle built by 2008. In overview, however, a future scenario in which all commuters travel by some form of public or shared transport is unrealistic. There will always be a large share of personal vehicles. 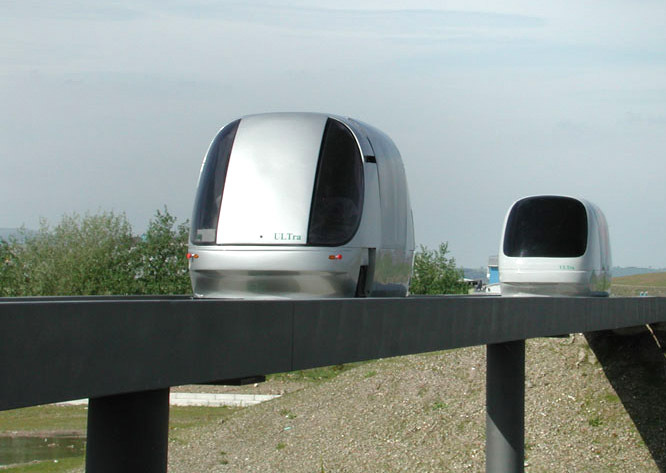 A challenge therefore is to develop a new range of urban transport vehicles, which are clean, small and quiet. 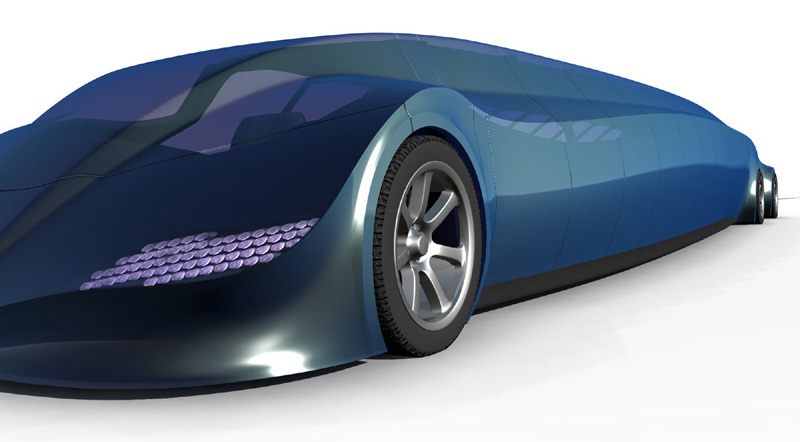 A new generation of vehicles is emerging which can be seen as truly enclosed motorcycles (covered in previous parts of this series). 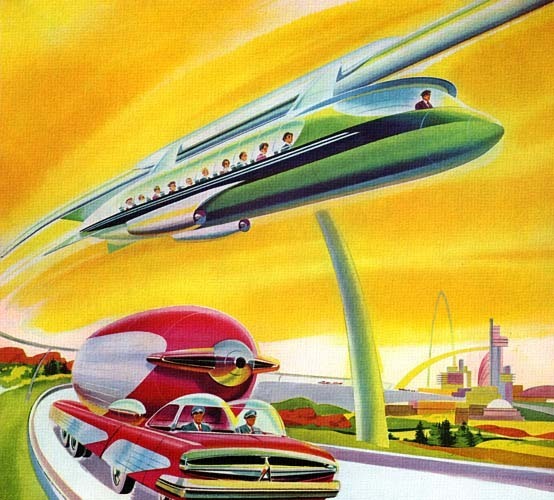 With all these developments underway, the future of urban transport looks quite promising - provided the people responsible for implementing these systems will have the will and the resources to turn them into reality. They didn't really think the first concept through (in pic1). The pillars... It appears the train is completely attached around the rails. So how do they attach those pillars? Would I ditch my car? Hell No. Yes, train on the 1st picture looks great! It's such an interesting idea! Though I also don't have idea how the train will be attached, I saw such pictures only in fantastic movies, but I believe this is possible. I love the prerequisite condutor's hat on #1. Good observation about the suppports! However I suspect it is assymetric; have a look at any ski gondola/chair lift or aerial tramway. Interesting post. I love that old 50's style rendering at the top. Would that be innovative enough? I'm interested at the car below. What it it hauling? A tanker?